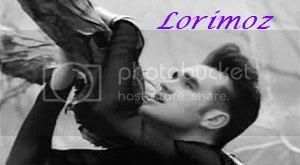 <!--sizeo:3--><span style="font-size:12pt;line-height:100%"><!--/sizeo-->I have been a Smiths and MOZ fan for over 20 years and have been collecting vinyls, cds, mags, memorabilia since. With Ebay and the web it has obviously become easier in the last few years, and probably more expensive as people ask for ridicolous prices at times. I would be grateful to all the people in the USA if they could save me any magazine/newspaper articles in the next few months. MOZ will be playing 40+ dates all over America so there must be mention of him in local papers, at least. I have a PayPal account so I could send money for postage and items, of course. Also, to all the people going to the gigs, please keep your eyes peeled for any discarded tix on the floor. I have so much more stuff since last summer but I have reached the upload limit so I wasn't able to post more pix. Thanx for taking time in reading this. Wow you have so many stuff, Lori! I wanna live with you!! !